Incredible double glazing available in multiple designs, configurations, and decorative options. 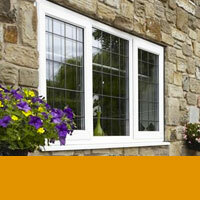 Here at Monmouthshire Windows, we provide durable-quality double glazing throughout Chepstow. We utilise resilient and robust materials in order to achieve best results with double glazing. Our high-quality profiles are supplied by leading manufacturers in the industry, ensuring great durability and strength. We offer uPVC, aluminium, and composite windows and doors in Chepstow, which possess inherent strength and durability, offering low maintenance, long-lasting double glazing. 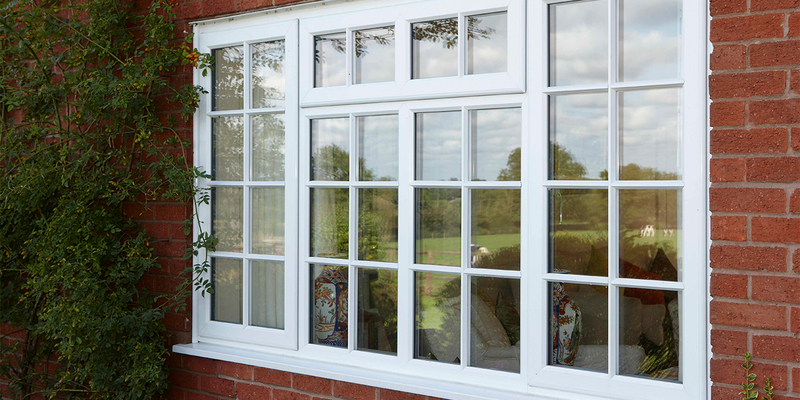 Our high-quality double glazing will therefore never warp, rot, fade, or discolour. There is no need for repainting, just an occasional wipe will suffice. We offer high-grade aluminium double glazing options in Chepstow, utilising an impressive Smart Aluminium profile, which is both attractive and high-performance. You can benefit from our fantastic uPVC double glazing, which offers sleek, high-quality aesthetics, that can be tailored to your personal tastes. Our premium uPVC double glazing is manufactured using the innovative profile of Rehau, achieving excellent benefits such as thermal-efficiency and low carbon footprint. We offer high-quality composite doors from DoorStop, an incredible solution for your double glazing, which provides the advanced benefits of timber and uPVC combined. When selecting double glazing for your home in Chepstow, the leading concern is home security. Our double glazing is developed with this issue right at the heart of everything we do. Our double glazing features an advanced locking system to provide enhanced security for your home. Its multi point locking mechanism provides homeowners with a exceptional level of security. We complement double glazing with the latest innovative hardware, ensuring windows and doors offer highly-secure functionality. Monmouthshire Windows utilise extremely rigid profiles such of Rehau’s uPVC and Smart’s aluminium to achieve high-security for your Chepstow home. Our composite doors are incredibly tough, meaning potential burglars are easily deterred. High-performance composite doors impress with the combined thermal-efficiency of uPVC and timber, which keeps your home warm inside. They are fabricated with a polyurethane thermal core to provide enhanced energy-efficiency, making a cost-effective investment for your property. Our high-quality uPVC windows and doors are innately thermally-efficient, offering a multi-chambered profile design that retains heat brilliantly, promising to maintain a warm temperature in the house even during winter months. Finally, our aluminium double glazing profiles are thermally-broken using a polyamide thermal insert, which prevents heat from escaping and cold draughts from transferring through. You’ll achieve impressively low U-values from our innovative aluminium double glazing! Our impressive range of double glazing offer bespoke aesthetics and wonderful customisation options too. Whether you have a period or contemporary home, we’ll have an option for you. Our aluminium double glazing complements any architecture with a sleek, stunning aluminium profile that does not look out of place wherever it is installed. We offer aluminium windows, aluminium bi-fold doors, patio doors and French doors. Our French doors possess a continental flair that adds character to your Chepstow property. Our uPVC double glazing is extremely adaptable too, also offering slim sightlines for increased glazed areas, allowing spectacular views and more exposure to natural light. We offer modernised sash windows, which replicate period sash windows with modern technologies for enhanced performance. Alternatively, we provide classic uPVC casement windows, which seamlessly blend into any style of property with their timeless, simple design. Our tilt and turn windows are an example of how flexible our products can be for Chepstow homeowners. A ‘tilt-only’ feature allows secure ventilation, whereas the ‘turn’ function allows easy access for cleaning. 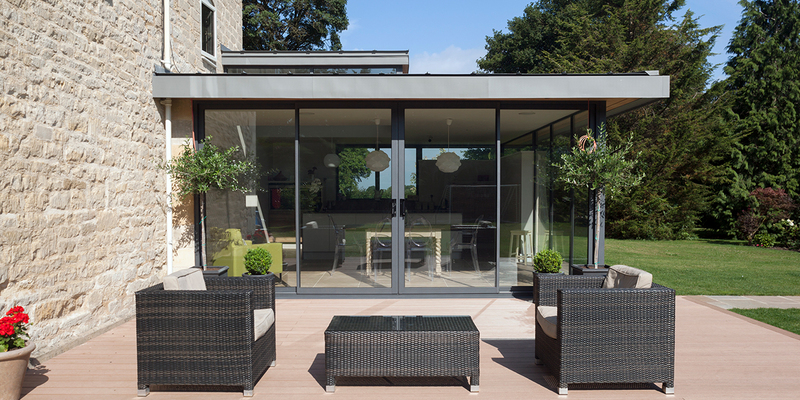 Alternatively, aluminium and uPVC bi-fold doors provide a seamless transition between your home and the outdoors, with multiple folding configurations and expanded glazed areas. Why not achieve an authentic look with composite doors. Our composite doors emulate the style of timber with the latest modern double glazing. These offer the distinct aesthetics and high-performance required from a residential door. Our patio and French doors are extremely flexible, as they can be installed anywhere throughout the home with their versatile structure and performance. If you have found something you like and would be interested to see our competitive prices, please obtain a free, no obligation to buy quote by visiting our online quoting engine today! We’ll be able to offer you a fantastic price. There’s also a friendly team available to assist you with your double glazing enquiries. Please visit the online contact page and one of us will give you a callback. We look forward to hearing from you.